Automated micro-needling treatments are performed to improve the appearance of fine lines, skin’s texture, tone, and color, stretch marks, and acne scars. 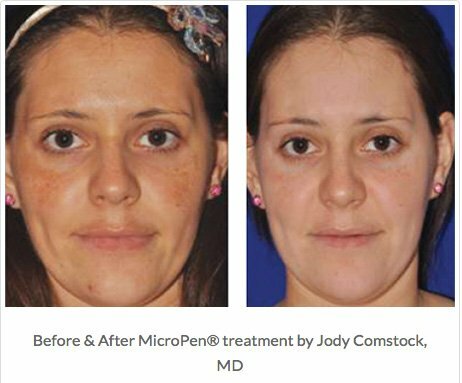 Hyperpigmentation can also be treated with micro-needling. At Miami Beach Laser and Aesthetics, we use the Eclipse MicroPen® cordless micro-needling device. 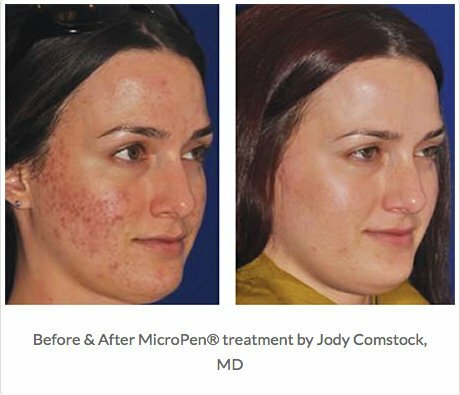 The Eclipse MicroPen® can be used on the face, neck, décolleté, arms, hands, legs, abdomen, and back. It is safe to use on most skin types. The Eclipse MicroPen® is designed to provide a high level of safety for the patient. Immediately post-treatment, your skin will be glowing! Your medical practitioner will apply a thin layer of sterile saline to your skin and select the appropriate pen setting based on your unique needs. Next, in a single motion, the pen will be gently pressed against the skin while simultaneously gliding in one direction until the entire treatment area has been covered. The total healing time depends on the Eclipse MicroPen® setting used and the number of overlapping passes your medical practitioner performs. On average, patients are red up to 2 to 4 days. Many patients heal completely in as little as 24 hours. Some patients only require a single treatment once per year to achieve optimal results. However, it is recommended for most patients to receive a series of 2-3 treatments spaced about 6-8 weeks apart. For patients with deep wrinkles, advanced photo-aging, stretch marks, or acne scars it is recommended to receive 6-8 sessions at 6-week intervals.